NOTICE: Effective October 1, 2018, test administration fees have changed. The Testing Center at Texas A&M University - Commerce provides access to a wide array of high quality testing and assessment services for students and the community. The Testing Center at Texas A&M University - Commerce subscribes to the National College Testing Association (NCTA) Professional Standards and Guidelines and is a member of the NCTA Consortium of College Testing Centers. 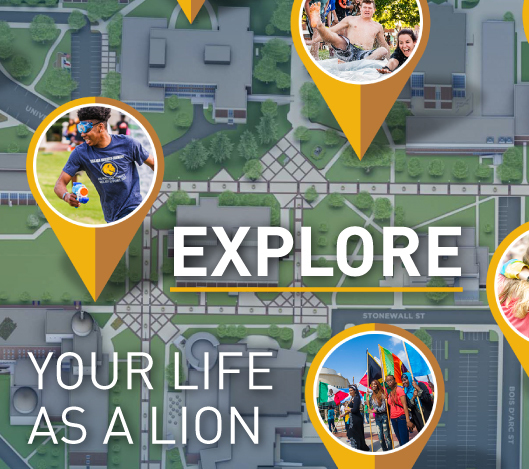 We look forward to working with you to help make you a part of the Lion's Pride! All testing appointments must be scheduled at least 24 hours in advance of your desired testing date and time. We cannot accommodate same-day testers or walk-ins. For ALL exams you will be asked to present a valid photo ID. For most exams offered at the Testing Center, a valid driver's license, government issued ID, or passport will work, however, make sure you have the appropriate type of ID for the exam you are taking. Some exams require a secondary ID. Know the requirements of the exam you are taking BEFORE you arrive. *If you have questions about your ID, contact the testing company that owns your desired exam or the Testing Center well in advance of your scheduled exam. Children are not allowed in the Testing Center. Children cannot be left unattended without an adult in the One Stop Shop, surrounding buildings or parking lots while you test. This policy includes test administrations in other buildings on the A&M-Commerce campus or off-site testing locations. Testers that arrive with children will not be allowed to test and will need to reschedule their exam for another day. You will forfeit your testing fees and must repay in order to reschedule your exam for professional/certification exams or any exam registered through a third-party company such as, but not limited to, TExES, TOEFL, CPCE, NCE or CASTLE. For security reasons, lockers are provided for small personal items. These may not be accessed during testing. Examinees that utilize lockers are responsible for damage to lockers or lost keys, and can be assessed fees to cover the cost of lost keys and/or damage. It is advised that you leave non-essential personal items or items too big to be placed in lockers at home or locked securely in your car. The Testing Center is not responsible for lost, misplaced, or stolen items.